Save up to £3. 50p off full admission price for up to six people. Visit one of the UK's oldest gaols, dating back to the 12th century. See the original cells and discover the fate of the thieves, smugglers, witches, pirates and murderers who were confined here. 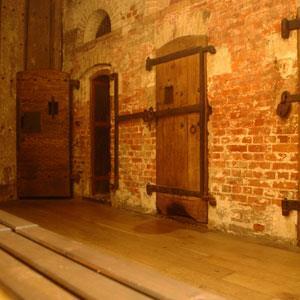 Use the free audio guide to hear the gaoler and his prisoners describe their experiences. 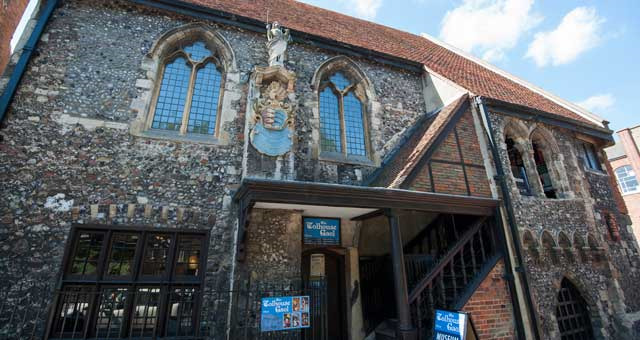 There are no toilet facilities in the Tolhouse Gaol – Great Yarmouth Library toilets can be used during normal opening hours (NB closed on Sundays and Bank Holidays) There are a lot of steps and uneven floor surfaces in this historic building. Access for people with mobility issues and wheelchairs is possible but has to be booked in advance, due to an extra member of staff needing to be present to operate the lift (NB the lift cannot be used unless prior booking made as it links to the library building). For any queries please tel. (01493) 858900 or 743930. Mon to Fri 10am-4pm and Sun 10am-4pm during Norfolk school holidays only (closed most Saturdays unless specified otherwise - please check before visiting) plus additional dates/times listed. 17 May 2019 (evening 6-10pm) for Museums at Night event. Museum Pass holders and under 4's free. Discount for groups, telephone 01493 743943 (non schools) 01493 743944 (schools). From the A47 : At Vauxhall roundabout take 2nd exit. At next roundabout take 3rd exit and follow signs for Historic South Quay. Pay & display parking available nearby.